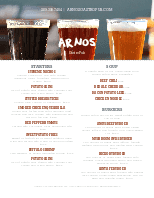 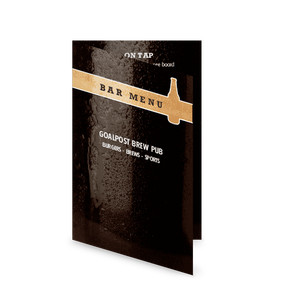 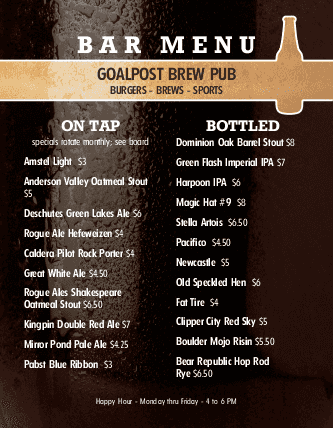 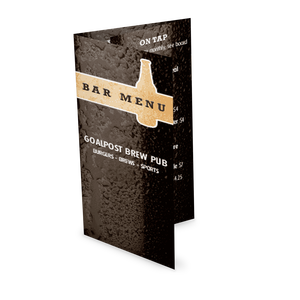 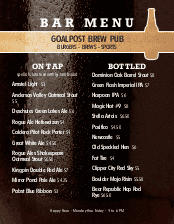 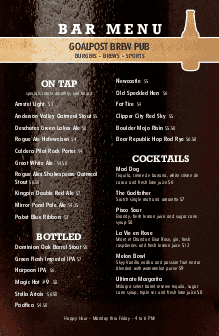 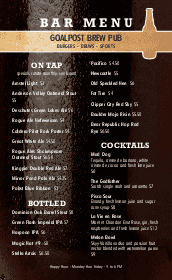 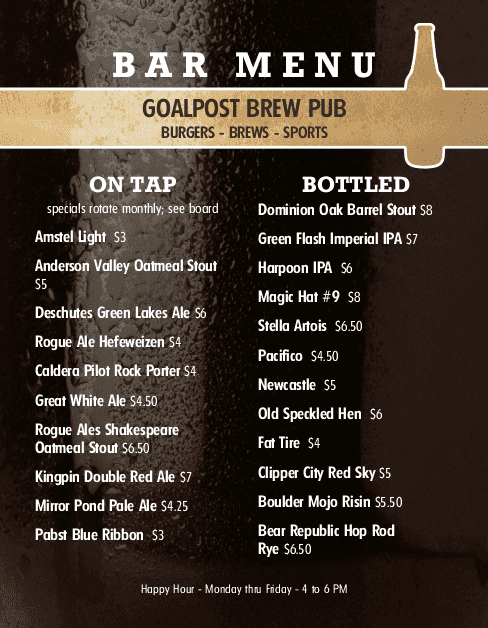 List your beers and brews on this Restaurant Bar Menu template with a dark porter beer background. 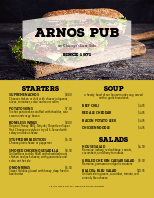 The menu title is showcased in a banner of foam. 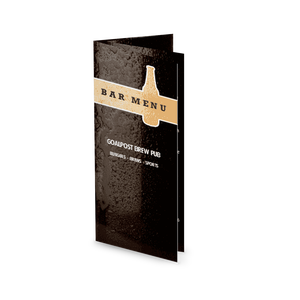 This fun bar design can be fully customized for your bar or restaurant.